We have been working to perfect a new look to etching on granite and marble. 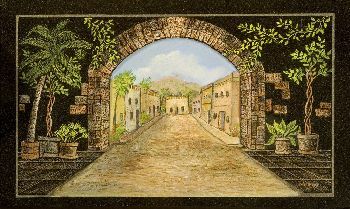 The etchings are actually sand-carved or sculpted and finished with etching tools for a new look. It is pushing etching to a new level. 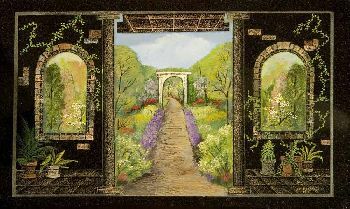 The look of the 3 dimensional etching is similar to a relief wood carving, and is hand painted to enhance the art piece. 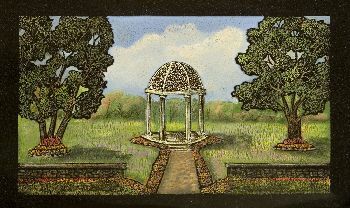 The new 3-D sand sculpture etchings are available on monuments, signs, and works of art for the home. The work is surprisingly affordable, and can be done with any subject, including landscape, animals, people, and still -life. We can make your idea into a unique and beautiful work of art. In this 2-dimensional format, it is impossible to see the depth of perception that the 3-dimensional work offers...it looks as though you could enter the sculpture and walk down that road.